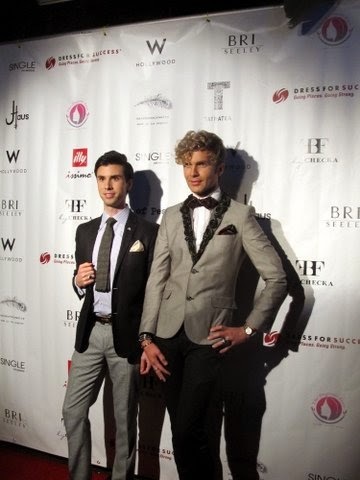 Hosted by ParkerWhitaker Productions the Day to Night Womenswear event took place at the W Hotel Hollywood. The fashionable affair raised awareness for Dress For Success – an organization that promotes the economic independence of disadvantaged women by providing professional attire, a network of support, and the career development tools to help women thrive in work and in life. Before the show guests were treated to complimentary manis by esNAIL, touch-ups courtesy of The Organic Face (organic skincare/cosmetics), craft cocktails from TATRATEA, beer courtesy of Peroni, and got their caffeine fix via Illy Issimo. 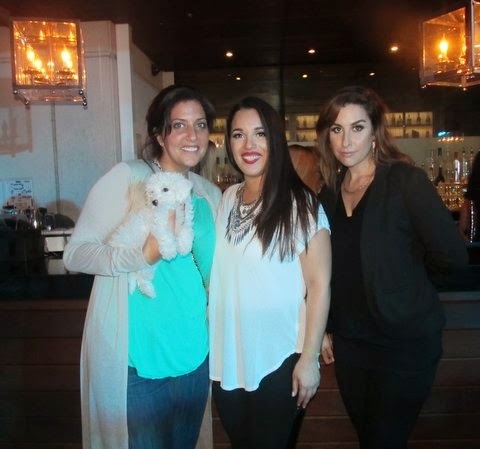 Sea of Pearls LA - Designer Geneveive Cruz (middle) and friends all wearing Seal of Pearls LA. And Sara Horne Jewelry. It’s always great to see the lovely Sara and catch up. I love Sara’s exquisite, bohemian chic jewelry because each piece emits her radiant personality. 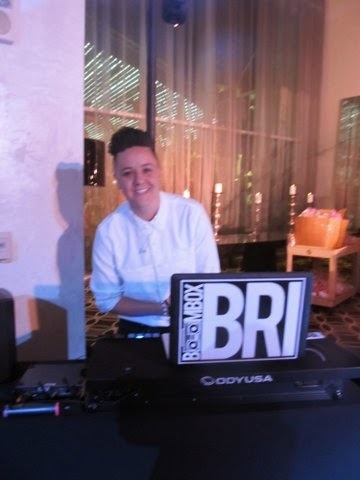 And, my all-time fav DJ – BoOmBoxBri. The evening began with a live installation from Shawl Dawls followed by an announcement from the event organizers and the head of Dress For Success’ LA Chapter. Founded by the creators of the convertible shawl—Julie Cruz and Roshena Chadha—Shawl Dawls offers a unique line of versatile shawls and cover-ups that are practical yet stylish. These one-size-fits all garments come in an array of colors and styles and can easily transition from day to night. Next was a showcase by Single designed by Galina Sobolev. Starting off with swimwear and transitioning to ready-to-wear Single’s SS15 collection featured bright colors and floral prints. Geneveive Cruz is the creative force behind Sea of Pearls LA – a clothing line that features wardrobe staples made from luxurious knits, soft wovens, and micro modal jersey. These simple, everyday essentials can be mixed and matched with anything and are incredibly soft and retain their shape so they are perfect for travel.